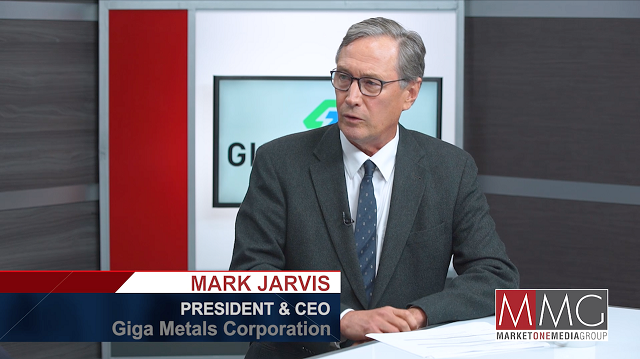 Mark Jarvis, CEO & President of Giga Metals, discusses their current drill programs and key milestones. Giga Metals Corporation (TSX.V: GIGA) aims to be a premier supplier of the battery metals that will be needed as the world progresses to a future powered by clean energy. They are currently focused on two of the key metals used in the batteries of electric vehicles: Nickel and Cobalt. The growth in electric vehicles and energy storage is accelerating and, as a result, Giga Metals intends to fast track the development of the Turnagain Project. Their goal is to supply battery manufacturers with the high-quality nickel and cobalt feedstock that they require. The company is also actively seeking other battery metals projects. There will be a shortage in these types of metals over the next decade as the clean energy revolution takes place. 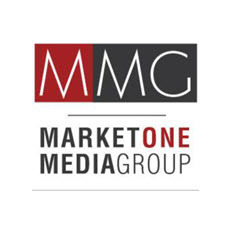 Jim Gordon: I'm Jim Gordon and you're watching Market One Minute. I am joined by Mark Jarvis. He is the President and CEO of Giga Metals Corporation. Mark, thanks for joining us. Mark Jarvis: Well, it's nice to be here. Jim Gordon: Great. Let's jump right in, let's talk a little bit about the Giga Metals project. Mark Jarvis: Oh well, our Turnagain project in North Central British Columbia is a massive resource of sulfide nickel and cobalt. We have a 43-101 compliant resource estimate, where we've got more than 4 billion pounds of nickel, and 250 million pounds of cobalt in the measured plus indicated category. Plus in the inferred category, we've got another 4 billion pounds of nickel and 250 million pounds of cobalt. That's a truly massive resource. And, it's a low grade, open-pittable, low strip ratio. Just a really good looking project, particularly for this stage in the market cycle. 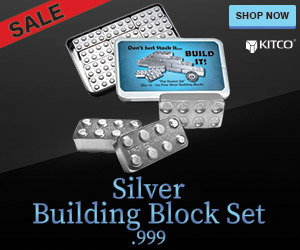 Jim Gordon: Now, can you talk a little bit about the team you've got at Giga Metals? Mark Jarvis: Well, we've got an excellent in-house mining engineer, Tom Milner with a long background of bringing in mines into production. We're using Chris Martin for metallurgical work and we're currently using Hatch to do some internal scoping studies for us. But ultimately, to lead to a prefeasibility study that we're targeting for the third quarter of next year. On our board, we've got some very good people. Lyle Davis is the Chairman of the Board and he's just a very good citizen. He used to work for the Vancouver Stock Exchange in the old days, chasing the bad guys. And, we've got Jon Hykawy, who has a battery metals expert. He speaks at conferences all over the world, and he's got a business going advising the end users of battery metals — how to source materials. And, we've also got Phil Robinson, who is on the investment committee for Pala Investments, which is a $3.7 billion dollar private equity group that is invested in our company. Jim Gordon: What can you tell our viewers about your current drill program? Mark Jarvis: Well, we've been drilling for a couple of months now. We've done all the infill drilling. We've got two starter pits, and between them, we only had inferred resources. The starter pits are all measured plus indicated. And so we've done the infill drilling to lift those inferred resources to the measured plus indicated category, so we can take the project to prefeasibility. And then we've also drilled in fill holes in the starter pit areas just to get metallurgical samples because we're doing to extensive metallurgical test work. And we did less exploration drilling this summer than I had hoped, simply because there weren't helicopters available. There are so many fires in northern BC, you couldn't get a helicopter. So, we've saved some of the exploration excitement for next summer. Jim Gordon: Can you talk about the significance of class one nickel to Giga Metals? Mark Jarvis: Well, nickel is a bifurcated market. Most nickel production in the world, more than half is what's called ferronickel. And it's a nickel from clay's that contains nickel and iron plus impurities. And that's solely targeted for the stainless steel market. If you want to produce something that can be used in batteries, you need to have something that is economically easy to upgrade to class one nickel, which is 99.8 per cent purity or better. And, that's what we've got. Really, the two sources for class one nickel are sulfide deposits, which is what we have, and then there's high pressure, high temperature acid leach projects, H-pal, which are very, very tricky. They can produce class one nickel, but the capital cost per unit is very high. That's our competition. And I think that we're certainly competitive with H-pal projects. Jim Gordon: And I have a last question. I know this is very exciting news for you, if the viewers don't know about this, can you talk a bit about the net smelter return sold to Cobalt 27? Mark Jarvis: Well you know, in the current market for mining stocks it's getting more and more difficult to raise equity capital, particularly at prices that the company would like. And so, these innovative financing methods have developed. So, Cobalt 27, which is an amazing company, I think it's only been around for about less than two years, and they've raised something in excess of $700 million, with institutional investors to become a pure cobalt investment. After extensive due diligence, they decided they wanted to buy a net smelter return from us. So, we sold them a two per cent net smelter return for a million dollars U.S. in cash, plus 1.125 million shares of Cobalt 27. And so, we've really tied our fortunes to Cobalt 27. We are really happy with the management of Cobalt 27 and, that's our source of financing. We think we're well funded to get to prefeasibility and beyond. Jim Gordon: Mark, thanks for joining us. Mark Jarvis: Very good, thank you.